A pelvic tilt can be extremely painful, and interfere with most aspects of your daily life, from simple things like turning over in bed, bending over to dress yourself, sitting at your computer or couch, to more stressful physical activities like exercising. This article will help you understand what may have caused the hip misalignment, how to diagnose the problem, as well as your treatment options for pelvic pain relief. Trauma: like motor vehicle accidents and falls, where the force of the impact can knock the pelvis into an abnormal position. 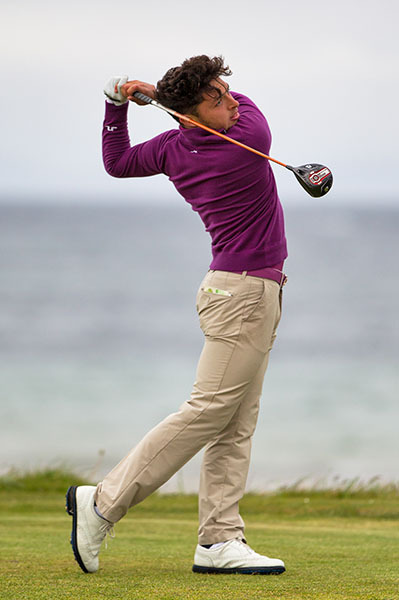 Certain sports / exercise: like a runner who spends a lot of time training on a cambered (uneven) road surface, or a golfer who swings a club thousands of times over the years, but only ever in one direction. This can create both muscular and bony imbalances. By far the most common cause of visits to a Chiropractor for a pelvic tilt is from the stress and strain of normal daily life, the main factor being sitting. Adults have never been more sedentary in any part of human history than we are now. Most people sit behind a computer all day and/or sit in a car for many hours to fetch kids, driving to meetings etc. We eat all our meals seated, and tend to sit on the couch or bed in the evening to read or watch TV. Men, stop compounding this problem by sitting on your wallet. Sitting completley locks up the Sacroiliac joints, the largest joints in your lower back, where your pelvis joins to your lower spine (sacrum). This “seizing up” of the sacroiliac joints in turn causes another two problems. First, the lower back cannot fuction correctly with its largest joints not working properly, leading to complete overload and pain in the tissues surrounding the pelvis, like the trunk, groin, glutes and upper legs. Secondly, once the hip joints have “seized” there is an abnormal pull from the tissues that attach to the pelvis (trunk and upper leg musculature) which tends to pull the hip into a lateral tilted position. There is a common misconception that every ache or pain in the body is muscular in origin. This couldn’t be further from the truth. The soft tissues could definitley be involved in your pelvic tilt (muscles, tendons or ligaments), but it is more often the pelvic bones themselves and the sacroiliac joints which require fixing. When muscular pelvic treatment is not producing results, be sure to to shift your focus away from the muscles and get your pelvic bones and joints assessed by a Chiropractor. 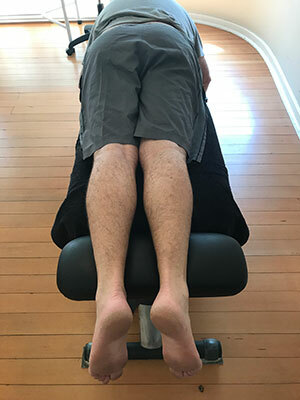 The specifc tests done during a consultation are beyond the scope of this article, but here is a simple home test that might give you an indication that you have a laterally tilted pelvis. Have the patient lie face down on an elevated surface, like a bed, where their feet can hang over the edge. A loved one needs to stand by their feet and pull on the ankles to straighten up the patients body and to make sure they are not leaning or twisting to any side. The patient’s head also needs to be facing down into the bed because rotating the head left or right will twist the spine in the cervical (neck) and thoracic (upper back) region, which may alter the test. Once the patient is perfectly straight, pull the feet and ankles together and compare the the length on the legs. 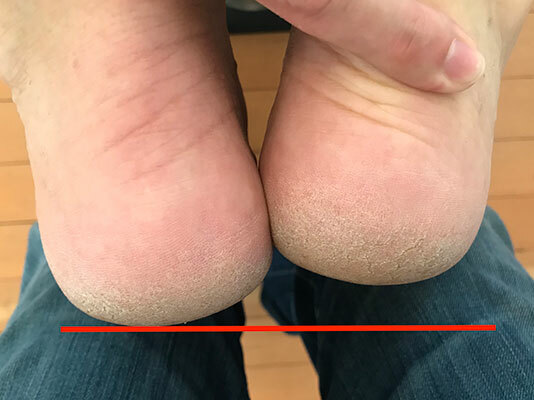 In an otherwise health person with no prior history of leg fractures or surgery, the heels should be pretty close to even in length, give or take 5mm (half a centimeter). 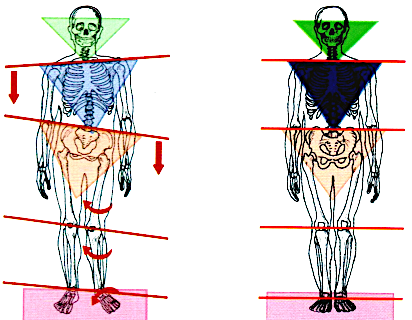 Any leg length differnence great than 5mm is clinically significant, is known as a leg length inequality / discrepancy, and is likley the result of a tilted pelvis. The legs attach to the hip/pelvis, so when the pelvis tilts, it has a direct influence over the length of the legs. Running and walking with legs that are not equal in length, as well as bending and sitting with a tilted pelvis puts an abnormal strain on the joints and muscles of the legs and lower back, often leading to painful conditions in those areas. 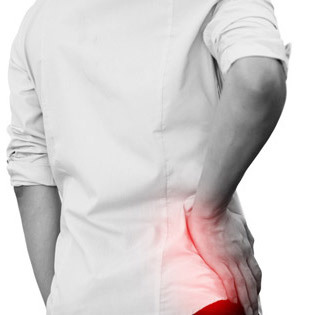 On a more serious note, when the hip moves far enough out of it’s normal alignment, there is an abnormal distribution of weight in the lumbar (lower back) spine, which can cause a disc bulge and “pinched nerve” to occur, leading to symptoms of a pinched nerve, like burning, tingling/numbness, pain or muscle weakness in the legs and feet. The treatment you receive for your misaligned pelvis should be 100% dependant on the diagnosis that was made, as there can be multiple factors at play, and many different angles that your pelvis could tilt. Exercise: strengthening the soft tissues around the problem area helps provide a layer of protection from future bouts of similar pelvic problems. Sacroiliac Joint Mobilization: gently moving your pelvic joints through their natural range of motion, in order to restore the normal fuction and motion to the problematic joints.